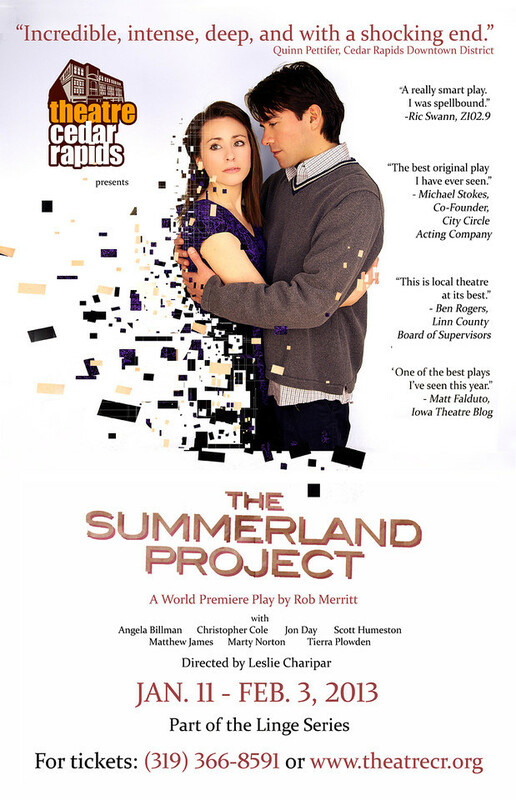 Written by Rob Merritt, “The Summerland Project” made its first appearance in the 2011 Theatre Cedar Rapids Underground Festival and was later given an official Mainstage Premiere in January of 2013. It is now set to be produced at theatres nationwide. Check out the story of the play. Or go here for the latest news on upcoming productions. Find details about the current production at Theatre Cedar Rapids here, or check out our archive on the original 2011 Festival performance here.